A joyous trip down memory lane. In partnership with the Wimbledon Village Club, WLOS presents this dual- anniversary event. 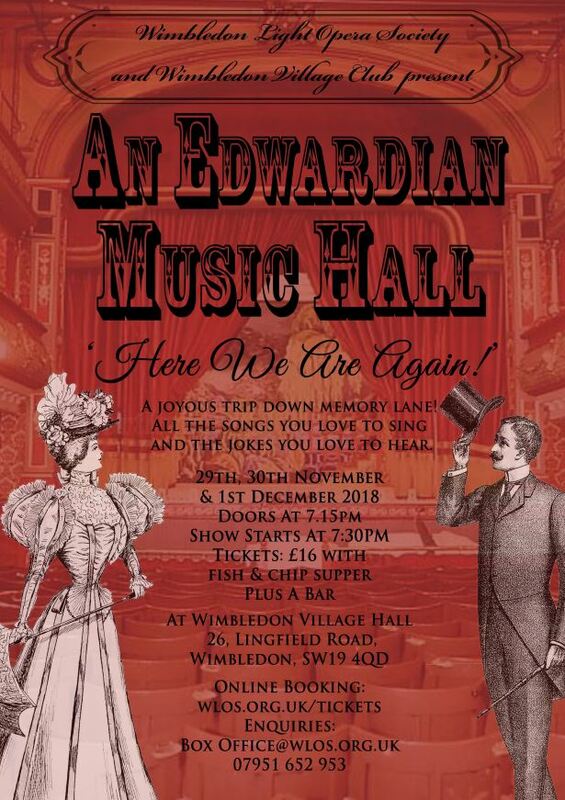 To commemorate both the Club's 160th anniversary and 100 years since the end of the first World War, we bring you a traditional Edwardian Music Hall in the Village Hall. Set in a relaxed cabaret style atmosphere with Fish and Chips supper (added extra) and a separate bar. PLEASE NOTE - Pink tables (C, E, G, M) are only available to book as whole tables. If you are buying fewer than 8 tickets please select a green table.